All the custom metal scultures in this case were done by us as per clients requirement, regarding sizes, colors, caving, painting finishes, and so on. Each piece was designed specially to fix the style of each space. The whole projects took about 2 months in total to produce. With the efforts from both designers and our artisans, the project has come out to be open on time and right now it has become a landmark in local for educating spirit of extreme sports. 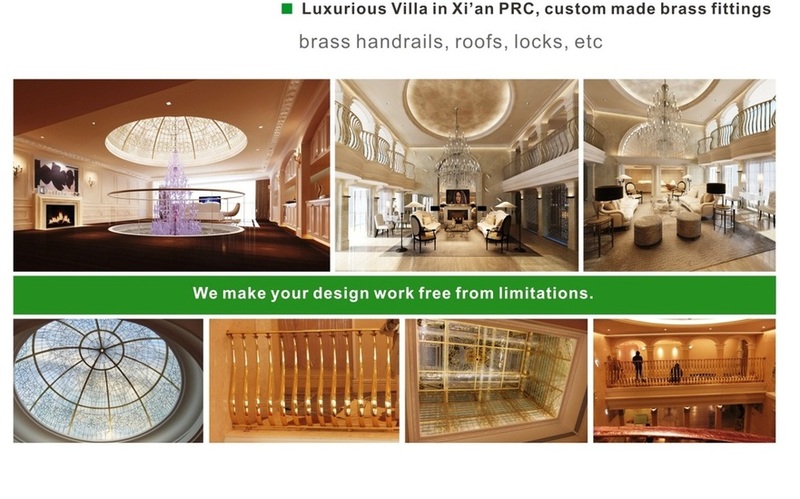 ﻿In this villa project, in order to improve the living quality, the owner are paying more attention to custom brass furnishing like the locks, the full wardrobe, the whole cabinet, and so on. With these custom brass pieces, this villa has a good features of elegant, luxury with different color finishes, such as natural brass, tianium plating, antique brass finish, etc. The actual turn out of the custom pieces have largely maintain the feature of virtual design, making it really 'what you design is what you get'. ​Zodiac is the twelve Earthly Branches figurative representative. With the development of the history, each of them has a wealth of zodiac legend. Modernly, more people treate Zodiac as the Spring Festival mascot of China’s Lunar New Year, which has become a symbol of entertainment and cultural activities. One of our successful custom metal furniture project- The twelve bronze zodiacs for Macau Museum. 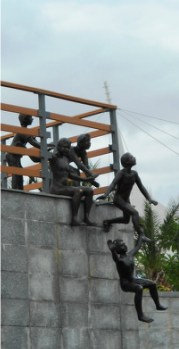 The picture of the following is a set bronze zodiacs supplied from our company. The material used in all of them is full solid brass. Each of them is weight about 50 kg . 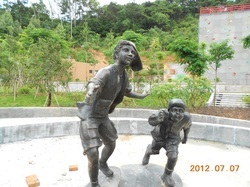 It has been one of noted scenes in the Macau museum. As the picture shows, the two cast copper lion in front of HSBC is well-known in Chinese, which is also called 'Hui feng lion'. The size of each one is about 3800L*1700W*2200H, and the whole project took about 2 months to proceed. With this in hand, it gives us good experience in customzing large piece of sculture in both indoor and outdoor.